Double click on the exe file to open it, click on I Agree (after reading the agreement). There are some links at http://www.altacast.com/?page_id=25 to the Lame (MP3) and libFAAC (AAC+) encoders. 3) You may now be asked to install Visual Studio. This is normally required so click Yes to install it (if it's already installed then it shouldn't change anything but if you know it is installed then you can click No). 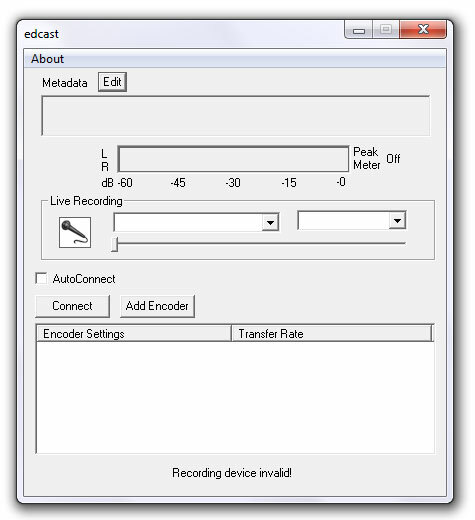 Click on Add Encoder and a line will appear unside the Encoder Settings box (it will say something like 'Vorbis: Quality 0/Stereo/44100'). Double click on the new line and a Configuration box will appear. 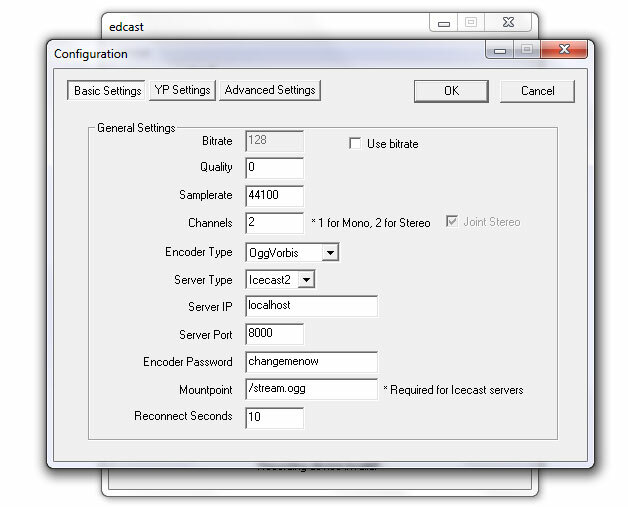 a) Enter your server details into the boxes provided and select the Encoder settings you desire. Note: If using Shoutcast, the Mountpoint doesn't matter, you can just leave that as it is. Also, please ensure that you select the correct Server Type. 2) Click on YP Settings and enter your stream details. Note: You must enter a Description and Genre to appear on the SHOUTcast directory - don't keep it as the default name or you won't be listed. As far as I know, Stream Name isn't used for Shoutcast. Click on Advanced Settings and it will give you an option to do so.